In my previous blog on Virtual Incubators, I pointed out the potential for disruption of the traditional incubator industry through the rise of virtual incubators. In this blog, I will suggest some pros and cons of a virtual incubator model. The inspiration for this blog article came from Vasily Ryzhonkov’s (founder of CrowdSynergy 2013) framework. While started in New York in 1959, incubators did not penetrate the mainstream market until the 1980s. It’s hard to tell how many incubators there are worldwide but you can find estimates ranging from 5,000 to 20,000. Incubators provide a spectrum of services to their clients – often called tenants, members or incubees. Most help with business basics provide office space, business counseling, mentoring, networking opportunities, and marketing assistance. Some help with talent acquisition, the access to funding, and product development support. Incubators provide a strong value proposition for traditional startups, but do they provide the same value to digital businesses? When one considers the needs of a digital business, and the rise of digital services now readily available to entrepreneurs, the value of physical infrastructure in starting a knowledge-based business is less apparent. Large-scale investors networks like angel.co, fundera.com, kiva.com, and gust.com are readily available to entrepreneurs for small loans to investments. Infrastructure such as servers, data centers, and network appliances are readily available through demand-driven cloud services. Company registration, legal services, accounting services, and other basic business services are also becoming standardized and cloud-based. Further, the rise of Coursera.com, Khan Academy, and Udemy is slowly providing on-demand training many of the topics relevant to entrepreneurs. On-Demand Services: Services already available through the cloud are readily available to most. We call this on-demand or common digital services. Scheduled Services: Services requiring real-world interaction between people although they may be enabled through digital connectivity. Business Basics: This service is about learning the basics of running your own business. On-demand model is picking up fast in this area. Shared Administration/Equipment: Since the rise of cloud services, many capital intense investments in equipment and technology infrastructure have become on-demand. Accounting, Legal and Human Resources: All the essential professional services can now be purchased online with very reasonable pricing that is almost impossible to beat by an in-house team to provide fractional services. Once the needs of the company grow to one or more full-time employee, it may make more sense to have them in-house. E-commerce: There is literally no expertise in the e-commerce area that is not available through an on-demand solution. Comprehensive Business Training: Coursera and Udemy leading the charge in this area, almost any kind of training can found online and on-demand. Business Etiquette: This a grey area, considering the learning through reading and watching online is widely available, the value of hands-on learning cannot be ignored. Marketing: Marketing assistance as it may include meeting with potential customers. This service can be digitally enhanced but would still require face-to-face conversations for a long time to come. Networking: Networking activities among incubator clients. This is an essential trust-building service and in-person meetings will continue to play a critical role on developing relationships with other businesses. Pitch Training: A lot can be taught digitally but the real test of presentation skills is presenting in front of people. Digital services like video pitch competitions or video conference may be more common in the future but in-person presentations. Virtual incubators, often called Accelerators, are a simple solution offering business incubation services to communities that are underserved or remote. In a virtual incubator, many on-demand services can be curated, compiled, and offered to the entrepreneurs on demand. The potential scalability of digital services and their non-reliance on physical space make virtual incubators a next generation advance on the traditional incubation model but still lacks Scheduled Services. 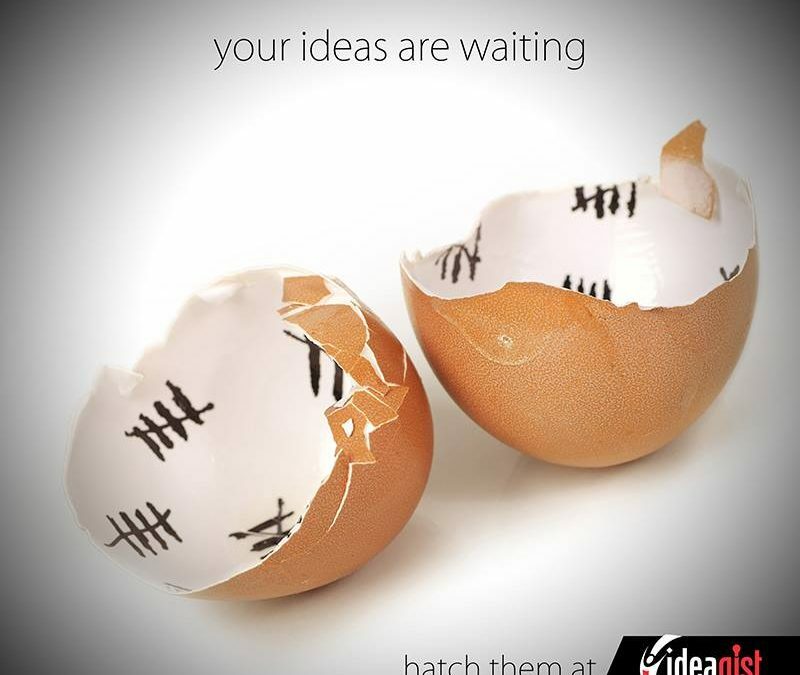 IdeaGist solves this problem by creating a hybrid incubator program that does not require a major investment in physical infrastructure and uses existing facilities to provide Scheduled Services. You can start your own virtual incubator quickly and inexpensively then augment the experience with Scheduled Services. Some people use offline vs online incubators or virtual incubators vs real incubators. However, just like all other areas of our lives, the virtual world has meshed with the real world, like augmented reality. In my next article, I will publish a global list of incubators, both active and inactive, before comparing the services offered by virtual incubators. About the author bias: Hassan Syed is the founder of IdeaGist, the world’s first SaaS-based virtual incubator, offering a turnkey virtual incubator for early-stage ideas to economic development organizations and educational institutions worldwide. This article was written in collaboration with Institute for Innovators and Entrepreneurs. IIE uses IdeaGist as a “Hand Holder” incubator for their 100 Launches Program. Special thanks to Dr. Brian Abraham for editorial guidance and making this article look smarter than the author.